The Philadelphia Phillies surprised the baseball world, and perhaps even themselves, when they snatched Cliff Lee on the free agent market a couple weeks ago. Not only did the signing seemingly come out of nowhere due to the stealth negotiations, but they undercut the New York Yankees in the process. Ever since Lee appeared headed to test the market, the big money has been on the Yankees to land him for the same reason— big money. The Yankees have deep pockets and a long history of paying top dollar to get the players they desire the most. A-Rod, Mark Texeira, CC Sabathia, Reggie Jackson, Catfish Hunter, Dave Winfield, Goose Gossage, and Andy Pettite are just some of the big name, big dollar signings. And, if the Bronx Bombers couldn't entice Sabathia's ex-Cleveland Indians buddy to sign, the Texas Rangers were poised to offer up the necessary dollars and years to keep the hurler that led them to their first World Series in October. Additionally, Lee loved his brief tenure with the Rangers, the team possessed the talent to win, and Arlington was relatively close to his home. Just days earlier, the Phillies lost their own free agent, Jayson Werth, to the Washington Nationals and a monster contract. Although they hated to see him go, the Phillies already possessed a payroll that stretched way beyond the limits most would imagine just a year or two ago. They seemed to be in a holding pattern with their salary budget, still trying to get comfortable with what they already had on the books. Then, suddenly, word crept out that the Phillies might be a mystery team in the hunt for Lee's services. In the coming hours, speculation turned to rumor and then to news. The Phillies had reached an agreement with Lee pending the customary physical examination as well as the requisite dotting of the i's and crossing of the t's. With the move, the Phillies had assembled a starting rotation of historic proportions and suddenly went from top contender to the favorites for 2011. It was a leap that most long-term Phillies fans could have never imagined. Heck, just a year ago, the team dealt Lee away when they acquired Roy Halladay— and even if they wanted to replenish the farm system, most everyone knew the key driver was economics. The Lee signing also sent a bright signal that the Phillies have officially become a "big market" team after operating as a "small market" team for virtually all of its 127-year existence. The Phillies have ascended to the level of the Yankees and Boston Red Sox- two teams that annually set their sights on winning a championship and make the financial commitment to support that goal. And, like those teams, the Phillies appear poised to remain in that stratosphere for the foreseeable future. Some could view the situation as a temporary phenomenon that will change as high priced players start to roll-off the payroll, but here are five reasons that the Phils are here to stay for awhile. After a long stint in a secondary role, Ruben Amaro has proven himself to be among the best in his short tenure as Phillies GM. Before the Lee signing, RAJ's resume already included an Executive of the Year award and several blockbuster trades. Amaro is grounded with the principles, philosophies and approaches established by Pat Gillick. That is proven to be a great foundation as evidenced by the former Phillies GM's election to Baseball's Hall of Fame. But, it does not end there, as Amaro brings his own skills and qualities to the job. Besides having astutely schooled from the master, RAJ has displayed creativity, intellect, persistence, and the boldness to turn his desires into reality. He knows what he wants and he goes after it. And, perhaps most importantly, Amaro has been remarkably influential— both externally and internally. 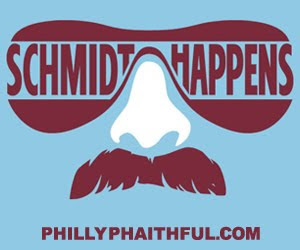 He has managed to entice players and convince counterparts around the league to make deals, while persuading Phillies ownership to take some risks and dramatically increase its payroll. "The Bank", as it is affectionately known in Philly, is one of the best venues in sports. It offers an appeal that makes players want to be there. It has become the "it" spot for the tri-state metropolitan area spring, summer, and now fall. 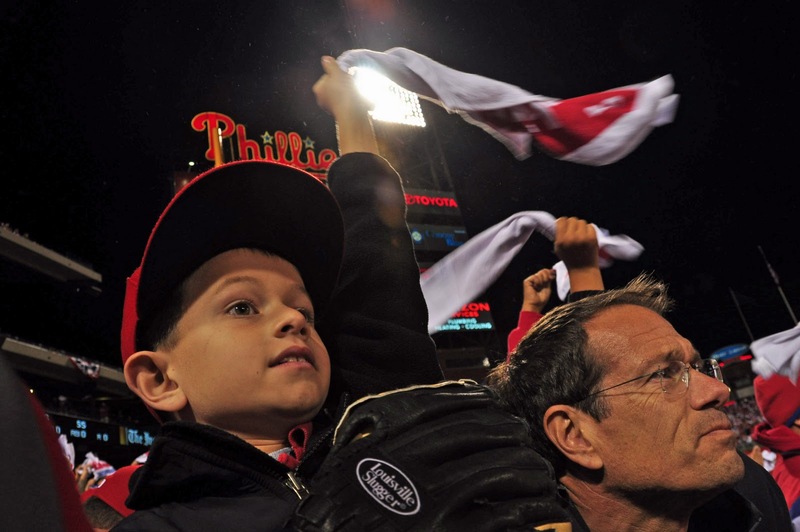 This past year, almost four million fans overstuffed Citizens Bank Park during the regular season and five postseason contests. The ballpark provides a marvelous combination of modern luxury and retro charm. It also provides an intimate setting with an abundance of great sight lines that keeps players and fans close. And, speaking of the fans, the team's unparalleled support makes for an electric environment every game of the year. Players love the daily playoff atmosphere. Cliff Lee cited it as one of the key reasons that he re-signed with the Phillies, while Jayson Werth will surely miss it. And, the loyal fanbase should continue to generate the revenues to sustain the team as long as the organization continues to "play to win." The Phillies ownership long possessed a reputation as being highly conservative and frugal. It is not a coincidence that the organization has accumulated the most losses in baseball history. Former high profile players such as Scott Rolen and Curt Schilling pushed to get out of town because they were convinced that ownership would never make the financial commitment to be a consistent winner. Tight management of the payroll meant passing on big ticket draft picks, trading expensive players, and avoiding the best that free agency had to offer. Philadelphia operated as a "small market" team despite demographics that suggested otherwise. The confluence of a highly appealing ballpark and a nucleus of stellar home grown talent set in motion the current metamorphosis into a "big market" mentality. 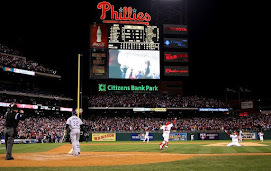 A Jimmy Rollins, Chase Utley, Ryan Howard, and Cole Hamels-led ball club playing in a great setting provided the foundation for championship aspirations and growing attendance figures. In 2008, ownership got a taste of winning a World Series Championship with a core group entering its prime. It was easy for both insiders and outsiders to see that the Phillies were staring at the possibility of an extended run if they could retain talent and complement it with other quality players. Enter Amaro. Since taking over for Gillick, he has acquired more star players than the organization had over decades. Raul Ibanez, Cliff Lee, Placido Polanco, Roy Halladay, Roy Oswalt, and Cliff Lee, again. Along the way, Amaro convinced ownership to expand its risk tolerance and push the payroll to unimaginable levels for the Phillies organization. The bar is now reset. Ownership has seen first hand that by spending money, they can consistently compete for championships— and make money. At the newly established levels, as big salaries roll off, money becomes available to pay other quality talent. If fans continue to fill the park every night, expect ownership to maintain the same financial commitment. Lee provided 30 million or so arguments that Philadelphia is a highly appealing destination for players. Despite enormous dollars and lengthy contract terms being offered, the former Cy Young winner deliberated waiting for the Phillies to make an offer. Once they did, despite being for fewer years and considerably less money, Lee jumped at the chance to don a Phillies uniform again. Many around the baseball world were surprised that he would turn down so much money to play in a city that made news for tasering and projectile vomiting. Lee also cited the terrific clubhouse environment that housed a "true team" in every sense. Before his exit, Werth often made similar references as he expressed his desire to stay in Philly. The bottom line is that Philadelphia has become a destination spot for major league players. With a great ballpark packed with knowledgable, passionate fans every game; winning, talented players; and a front office committed to winning; the "City of Brotherly Love" has become one of the most attractive spots for MLB players to call home. The trades for Cliff Lee, Roy Halladay, and Roy Oswalt over the past couple years substantially depleted what had been an abundance of minor league talent. Of course, it was this pipeline of prospects that afforded Amaro the bargaining chips to lure these stars away from other clubs in the first place. But, despite dealing all this young talent, the Phillies still possess some attractive prospects, particularly at lower levels of the system. The home grown nucleus in Philly along with the array of prospects that have come up through the organization serves as testimony to the quality of its scouts, minor league system, and the front office. This did not all happen by accident. Although the stockpile of major league ready talent is down at the moment, it is reasonable to assume that the same philosophies and evaluators will replenish the pipeline. This should allow the Phillies to replace aging players down the road as well as provide bargaining chips to make future deals. Conventional wisdom suggests that the Phillies have a two to four year window to capture more World Series rings. This may be true for the current composition of the team, but it appears that the organization may be poised for years of continuing success. Throughout the team's current era, the Phillies have morphed into both a big market team and a model organization. The franchise has risen to rub elbows with the sport's true elite teams. The Phillies also possess the key elements to remain in the same company for years to come.